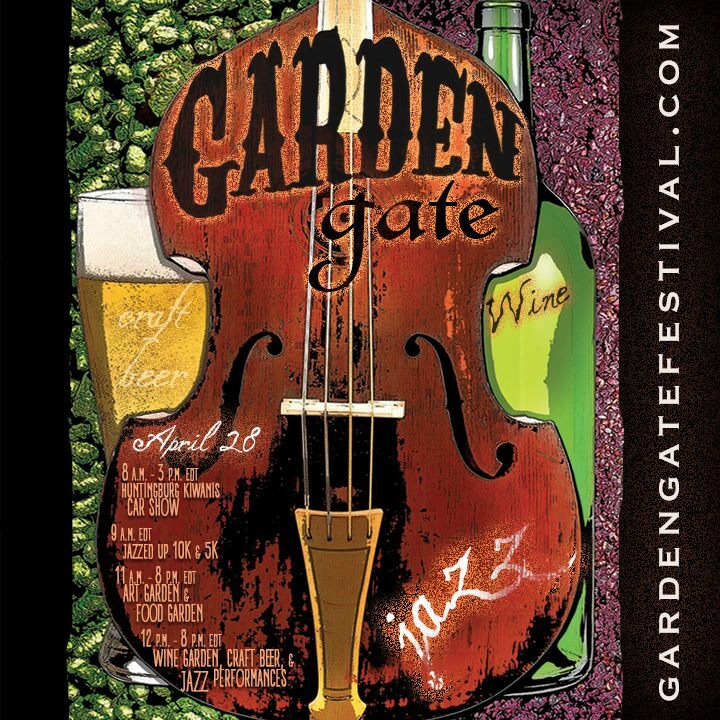 HUNTINGBURG -- The Garden Gate Jazz, Art, Wine, & Craft Beer Festival takes place this weekend on Saturday, April 28, 2018, at Huntingburg City Park. Highlights include art vendors, food trucks, beer and wine gardens, and two stages of live music. Festivities kick off at 11:00 am ET with art and food markets. Artisans, crafters, handmade goods, face painting, and more comprise the art market. Dining options include Gypsy Moon, Huntingburg YMI, Old School Café, Pizza Revolution, and Red Frazier. Two admission bracelets are available for purchase: General Admission, $5, is available to those 18 years and over. The Sampling Admission, for those 21 and over, costs $15 and includes entry, wine and craft beer samples, and a commemorative glass. Guests 18 and under are admitted free. Best Vineyards, Blue Heron, Easley, Ertel Cellars, Cedar Creek, Heagy Vineyards, Madison County, Monkey Hollow, Patoka Lake, Retting Hill, Pepper’s Ridge, Windy Knoll, and Winzerwald wineries, along with ten breweries, will offer samples. Breweries include Basket Case, Breckenridge, Carson’s, Dogfish Head, Dubois County Suds Club, Metazoa, St. Benedict’s, Salt Creek Brewery, Schnitz, and Urban Chestnut. Both the wine and beer gardens serve from 12:00 – 8:00 pm. Huntingburg City Park is located at 203 S. Cherry Street, Huntingburg, Indiana, 47542. The main gate serves as a drop-off location with parking available in the North and South lots, along with on-street parking. Redstone Car Service will be onsite to provide rides. Pets, coolers, tents, and large umbrellas are prohibited. For information, visit www.gardenGateFestival.com, or call the Huntingburg Chamber of Commerce at (812) 683-5699.